It’s not too late to archive old disks | Something Odd! I have a collection of around 300 Commodore 64 5 1/4 disks. They were last used around 1995 and were kept in an unheated, sometimes damp room in my family home. It’s not all bad, I kept them in proper disk boxes so the disks were mostly upright during that time and not horizontal and pressing down on each other. For a long time I wondered about transferring the disks to more permanent and modern media. When I had an Amiga I joined it and the C64 together using some sort of serial cable and an ASM programme I painstakingly typed into my C64 from the Amiga. Then when PCs became popular I hooked my 1541-II disk drive to the parallel port of my 486 and transferred over some of my own demos but nothing else. Unfortunately with the passage of time parallel ports became as rare as the Dodo and more complicated cables are now required which discouraged me from trying to build them. So I did a little shopping last month. On Ebay France I found an old Commodore 1541-II disk drive in pristine condition. The Irish Ebay site was useless and I couldn’t find any local drives. I bought a Zoom Floppy from Jim Brain in the USA. That’s a USB interface you can use to connect the 1541 to a modern PC. You can use the ordinary IEC cable that came with the 1541 or a parallel port variant to “nibble copy” protected disks. Shortly after ordering both of those I read this post saying it was too late to archive disks. 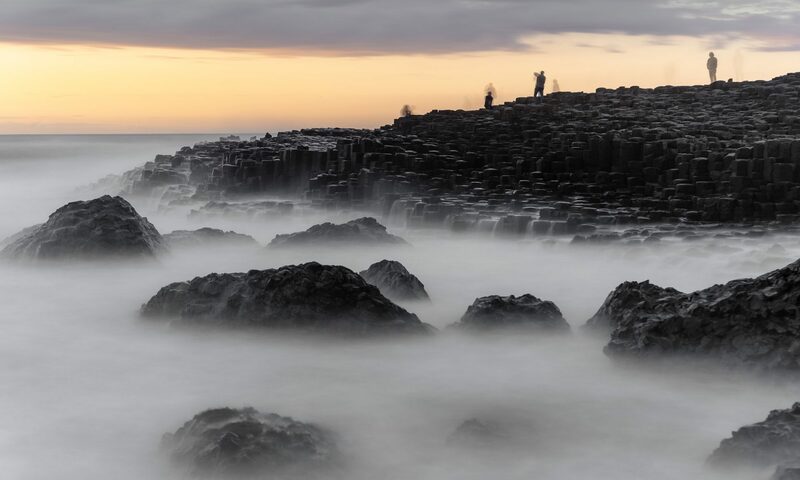 The author, Jason Scott, warned that we had left it too long to move everything off old floppy disks and other magnetic media. Too much time had elapsed. The magnetic signature of the data would have degraded, the media dirty and unusable. I was worried. Back in the day I had swapped disks with people all over Europe and further beyond. It was my first contact with people from Germany, Denmark, Poland, Belgium and elsewhere. Stuck on those disks were notes and personalised collections of demos and programmes that couldn’t be found online. 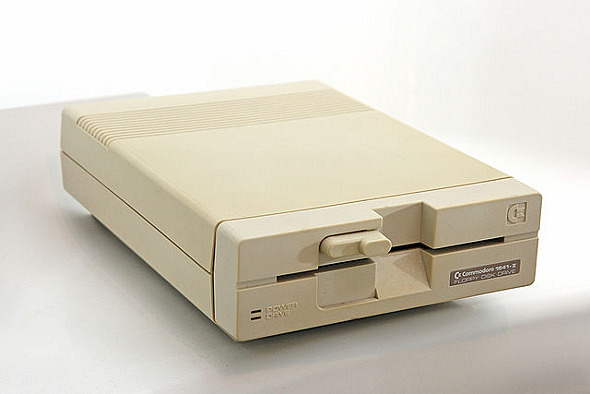 The disk drive arrived first, then a few days later the Zoom Floppy interface. Was it too late? Thankfully no. I’ve transferred 243 disks now and I’m not finished yet. I couldn’t rescue all the disks I tried. In some the media had stuck to the outer covering. In others the magnetic media was so dirty it wasn’t readable. By the time I got to 180 double sided disks done the disk drive packed it in giving the ominous “74, DRIVE NOT READY” error. All it took was a swipe of an alcohol swab over the drive head and all was right with the world again. Then I retried one of Iain’s disks and it died again so that disk will remain uncopied! As luck would have it some of the disks that would inevitably fail were those I used often and had snippets of code, graphics or music on them! I guess less than 10% failed however which isn’t bad for 20 year old magnetic media. After a number of failures I went searching online for disk images when I recognised directory listings. CSDB is invaluable, and the Binary Zone disks section lists all the disks they offered. I remember buying demos from there so it was great to get the disk images. I sent Kenz a PayPal donation to thank him for his efforts. I found many interesting things, including stuff that isn’t online. Some of it I have to talk to a few people about but I found something called DMSREAD (and related utilities) for creating disk images. The nice thing about it was that it would break up the image into smaller files so you could squeeze in an extra disk at the end of a double sided disk. Very important when you had to pay postage! Nothing about the C64 version online that I can find. Setting up the Zoom Floppy was easy. It comes with no documentation (beyond a copy of the GPL) but the xum1541 homepage has the required install files. I used CBMXfer and GUI4CBM4WIN, both frontends to the Open CBM library to read the disks. Also read about Rob’s experiences with the Zoom Floppy. I definitely recommend it if you need to connect a Commodore drive to a modern PC! Once I’m satisfied with my archive I’ll probably throw out the disks but can they be recycled? I presume so. I’ll miss them though. A directory listing of D64 images can’t hope to compete with the variety of disk covers and hand written labels! This 5 years of my personal data amounted to less than 130MB of data. I’ll run through that amount of space today in half an hour of taking photos so I shudder to think how much storage I’ll need in another 20 years time. I use 1.6TB of the space on an external 2TB drive and I find that external USB drives fail every 2-3 years. I’m currently waiting on a new 2TB drive to replace two 1TB drives that died recently (they mirrored each other so no data lost, unless this 2TB drive dies. Gulp!) but I’ll probably go down the route of a gigabit network and a NAS when I can afford it. Any suggestions for a quiet NAS enclosure are more than welcome in the comments section please! Ah, age is showing it’s anger at last. Sometime in the early nineties I exchanged currency for a box of disks and the C64 programmers reference manual. After looking at some of those disks they had disk titles with “86” in them so I presume they were fairly old by then. Now they’re unreadable, including the Ultima III and Defender of the Crown disks in the gallery above. 243 discs! Wow, your were busy. All my old C64 code is on tape. What are chances they’re still readable? Looks like a visit to my parent’s attic is on the cards next time I’m home. My brother recently bought one of these, http://www.amazon.co.uk/dp/B00308CBSS. Seems happy enough with it. It’s sitting next to him in his office and he hasn’t complained about the noise so it can’t be too bad. I’d have my doubts but it is possible to read them into a computer. Hook a cassette player to the mic socket of your PC and there’s a programme you can use to clean up the signal and convert to .prg files! I have ext4 on the new drive, and I have to rethink my backup strategies. It seems obvious now that using rsync each night may be too intensive on the disks in the long run. I suspect that hosting a backuppc backup on one of those drives caused it to fail a few weeks before the second one. Hopefully I can sort out a proper RAID configuration in the coming months and be done with these drives .. I just figured out why I couldn’t find the dmsread programme anywhere. I wrote it in 1994! Post on that later hopefully! I must restart my backup project. I stopped it last time after there was a backup bug in the current (at the time) Ultimate 1541 II firmware that meant backups may not have been 100% copies. I definitely found some of your demos on another disk! must try them out again. I just fixed a bug in the DMSREADER app I mentioned above. When I wrote the BASIC loader I protected it by adding REM statements and illegal characters that would stop a LIST working. I finally figured out that REM is opcode 8F and CC was the code that stopped the listing working. I’ve a box of C64 floppies in the attic, might dust them off after reading this! I use an iomega 4 GB NAS that was relatively cheap and is lot quieter than my PC. It got mixed reviews but I’ve been very happy with it. I recommend never throwing this kind of thing out, you never know when you’ll notice something missing or have an HD failure and need to go back to the well again. Particularly with C64 disks as they have weak error-checking and sectors can read as correct despite having corrupt data. Have you gotten in touch with the guys at http://c64preservation.com/ to provide .nib copies of your commercial disks? Unfortunately I wasn’t able to do nibble copies because I didn’t have a drive with a parallel port so they’re only d64 copies and didn’t bother with my commercial disks. 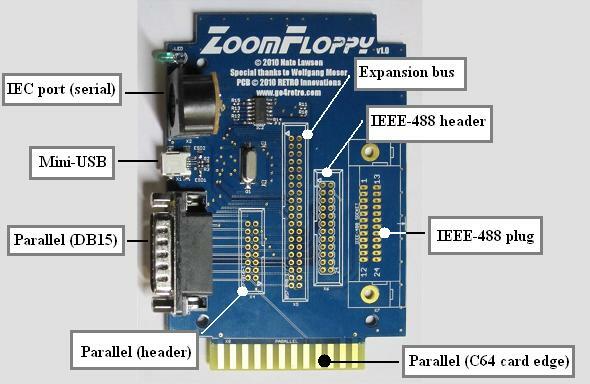 Thought the ZoomFloppy is a good piece of hardware, you might have won more by getting a 64NIC+ (or other RR-Net adapter), where you can use warpcopy. warpcopy copies an error free floppy side on ~20 secs.. and shows if tracks/sectors are bad, and retries. If your diskette images are 172kb in size there’s an error on them, I think cmbxfer just skips this, but for most part, the diskettes can be cleaned. take a look at blog.tomse.dk on some of the vids for cleaning 5 1/4″ diskettes. Did you by any chance send a copy of your disks to c64.com ? I’m a member of a website that tries to keep life to the community, and though we’re mostly posting news on the commodore front, we also try to expand our site. i.e. hosting old commodore related magazines etc. We also try to collect stuff made in hardcopy from the scene, meaning drawn diskcovers, those small news magazines which were photocopied. If you are willing to scan and distribute, we’d be most appreciative. Thanks Tomse for the lengthy comment! I Just tried one of the 172KB disks and the programs I tried on it worked. It may have been just luck getting it working (and in the process I found a disk I had no idea I had with a Commodore Force “Easy Lives 05” program on it). I don’t have a C64 unfortunately, and don’t have the space/time to get one. I haven’t done anything with the disks yet. Many of the ones I swapped with others have notes on them with personal information that I’m not comfortable sharing. There’s also a “local news” magazine I helped with that Maduplec organised but all the discs have warnings not to distribute. I need to send him the disk images and ask him if it’s ok now. I honestly don’t think they’re “out there” so I’d like to share them. I’ll see about scanning the disk covers too and I’ll be in touch if I do. There were a couple of nice ones in the collection! I understand when there are personal notes, I’ve talked with a few who also was reluctant to share personal notes. With the lack of a C64 it’s difficult to use warpcopy. Atleast you’ve dumped your disks. As a footnote to others, there are ways of cleaning the 5 1/4″ diskette. I’ve posted a youtube vid about it http://www.youtube.com/watch?v=01n8RgHgIwg (Or search “c64 diskette cleaning”). I got a small collection of about 80 disks, half of them was unreadable and just kept on putting dirt on the drive head. I managed to clean them all and ended out with just a few which had bad blocks. Ah, I hadn’t seen dirmaster before, I’ll give that a go. That YT video was informative. I didn’t think it was really possible to clean those disks but I will give it a go too. Oh, I was subscribed to “Commodore is awesome” for quite a while. Can’t remember why I unsubbed but putting it back in my reader list! If you go there, don’t forget to visit the daily expanding Magazines section under Downloads, we are focused in the progress of getting a complete Amiga Format (in a good resolution), while other mags are slowly being added too.